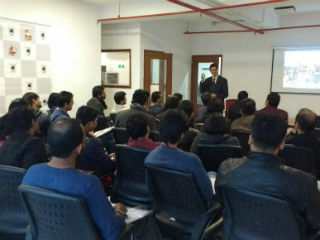 JIMS Rohini conducted an MDP on ‘Managing Professional and Ethical Behaviour for a Successful Career’ at Pencillati Studios Pvt. Ltd, Delhi, on Monday, 12th February, 2018. Full day MDP was divided into two sessions. First session named ‘Advantage Professional conduct’ was conducted by Mr.Keswani, which covered importance of professionalism at workplace and in personal lives. Participants engaged in group games and activities and learned about various important concepts of professional conduct. The second session was covered by Dr.Raizada, who through written quiz and cases, explained the relevance of ethics for personal and professional growth. The MDP concluded with the group photo session and certificate distribution to the participants. 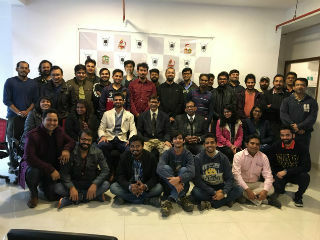 Overall it was a good learning experience for the participants. Pencillati Studios is a Delhi based animation and game design firm that has domestic and overseas clients, mainly in USA. 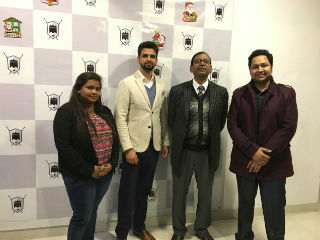 Resource Persons were Mr.Suneel Keswani, a versatile Scholar and a Trainer and Dr.Sumesh Raizada, Professor, JIMS, Rohini. 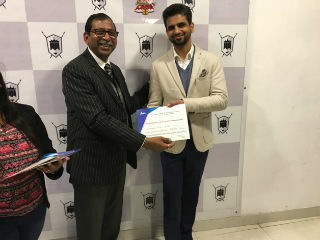 Mr. Keswani holds a Master Degree in Commerce (M. Com) from Delhi University, additionally a PG Diploma in Marketing and Sales from YMCA Institute of Management Studies and PG Diploma in Business Administration. Mr. Keswani has a vast corporate experience of Over 32 years, having worked in the marketing divisions of large companies like – CMC Ltd, Shriram Pistons & Rings Ltd and The Times of India. For the last 26 years he is actively involved in conducting Training and Development programs / workshops / panel discussions in major Management & Communication areas in lead Companies and is a visiting faculty to a number of premier B-Schools / Engineering Institutes in India. Dr.Raizada is an Electrical Engineer, MBA and Ph.D, and is faculty of Marketing. He has nearly two decades of corporate experience, mainly with M/s Crompton Greaves Limited, in the marketing department.